Becoming a successful business in your own country, where you know all the customs and cultural norms, is hard enough. Achieving success in a foreign country where you have never spent any time, is like hitting a hole-in-one. It can be done, but not by everyone. 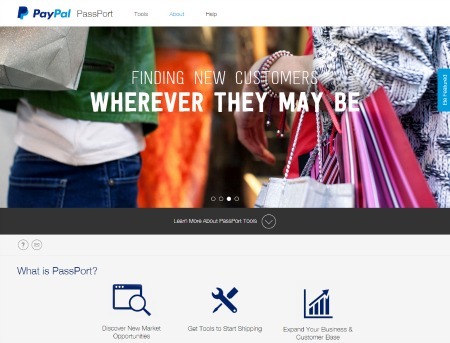 PayPal has announced the roll out of a new site called PassPort, which is meant to help spawn more international sales. What PassPort brings to the conversation is country-specific data meant to help PayPal’s customers understand things like a country's cultural customs, currency exchange rates, taxes and seasonal sales peaks. The thought is that by becoming more familiar with a country's customs, businesses using PayPal will get more customers of their own. While PassPort provides a wealth of information, it is important that potential users realize it is not a place where advanced analytics can be done. If that is what you require, PayPal suggests that you contact a specialist within their company.